The best app for easily laying out the form of a composition. It's does exactly what it's meant to do and it keeps getting better. Highly recommend it. Get this app, and you are in for a pleasant surprise; it's versatile, it's multi-purpose, and it knocks the competition out of the game. And, unlike other developers, this dev responds promptly, and positively. Are you a songwriter, electronic composer or are you in a band? Do you record your music and sometimes have trouble getting started or laying down tracks to record on top of? If the answer to either of these questions is yes then you owe it to yourself to own Guide Track! 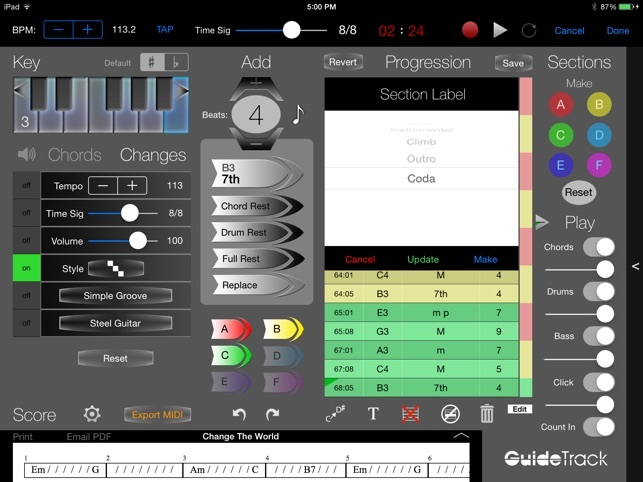 Guide Track is the primary go-to tool when you want to quickly create a precise guide track for recording when you know the song structure and the style. Simply enter in the time signature (which you can change at any time during the song), which chords (or rests) for how many beats and the beat style—Guide Track does the rest for you! 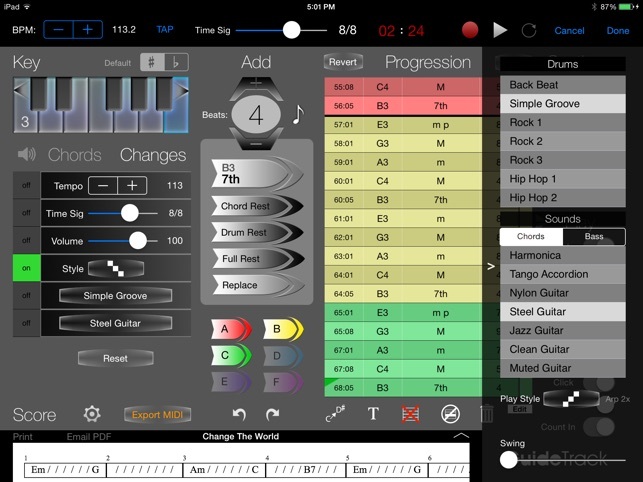 Use inter-app audio or AudioBus 2 or save your track to file and you are ready to start recording for real with a perfect smart click track and guide chords, drums and bass. Save hours of messing around and get to what matters—your creativity. 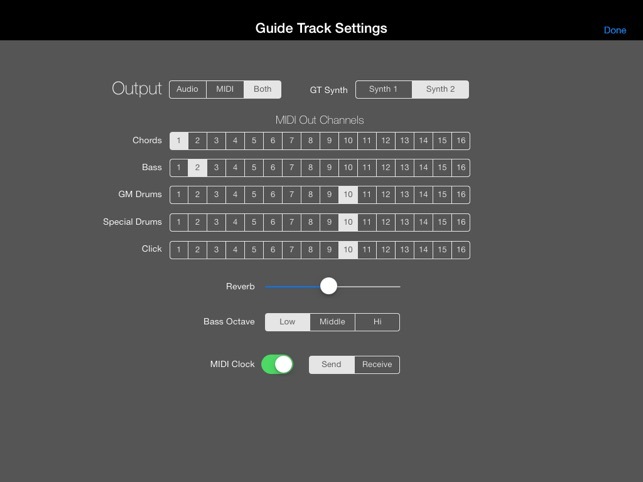 Once done you can mute the guide track to reveal your perfectly structured recording. It's like a sculptor using a mold when casting, except instead of bronze, you end up with perfectly structured music. You may want to even keep your guide track in there or record one of the parts such as bass or arpeggios as a real track, especially if you use a professional synth via MIDI out. 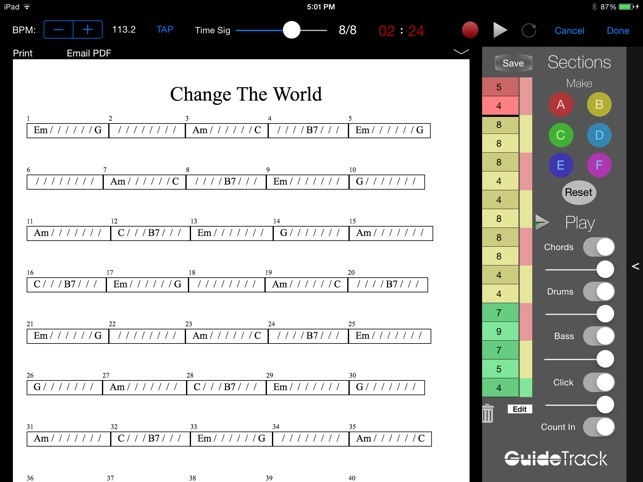 You can also use Guide Track to print out chord sheets for your band or to capture song ideas or for recording aid. 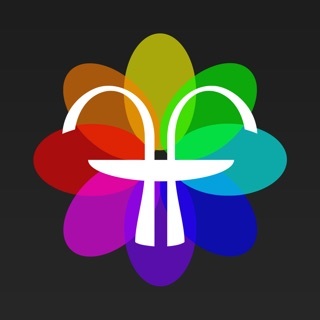 This is a great app and developer! 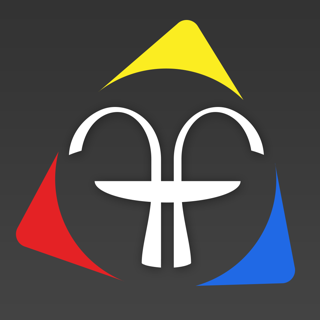 Support this app and developer and you will be in for a treat. I’m glad to see this recent UI update. This is a very useful tool and there are select developers that always work to monitor and update their software...this is one who does. Songwriter's pre-production tool extraordinaire ! The best app for easily laying out the form of a composition. It's does exactly what it's meant to do and it keeps getting better. Highly recommend it. 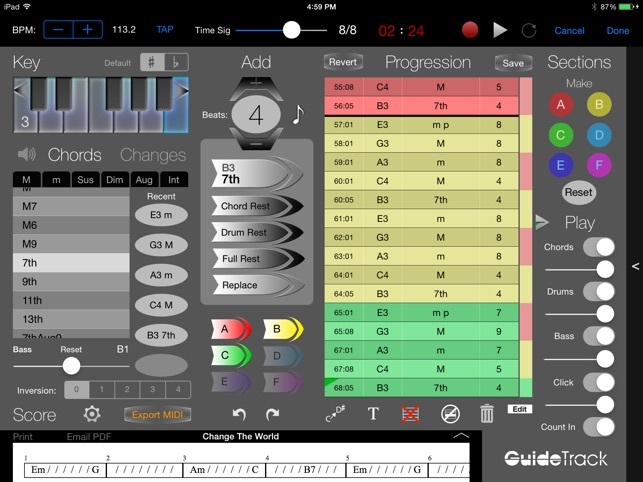 More than building a guide this app lets me explore arrangement possibilities quickly that I might otherwise not try. The developer is very responsive. Every songwriter should use this tool! © 2018 Techné Media. All rights reserved.